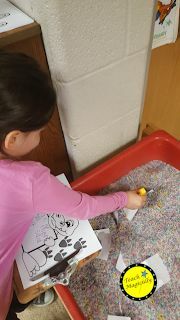 A place where best practices, engaged learning, and fun combine to create a magical learning experience. 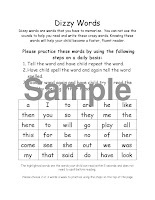 Ever have a difficult time trying to get some students to read sight words, or words that can not be stretched and need to learned by memory or sight. And all of these things are fine to practice but in the actual teaching what can you do to help the students with these difficult words? After working with a research based intervention system and observing the students just beginning to learn to read words, I think I have come across a way to help the brain learn these words! I hope it helps you when you are teaching! If students make an error with one of these irregular words (words you can not say the sounds and blend them back to get a word). 1st-Tell them the word and have them repeat the word. 2nd-Have them spell the word aloud and tell the word they spelled. 3rd-Return to the word a second time and have the child try to read the word by spelling it in their head. I am going to do this activity first with every "sight word" we are trying to learn. I am also going to start having my students do this as they are reading in guided reading when those mistakes are made! I created an instruction sheet to share with parents and to use with the students for progress monitoring and goal setting! Click on picture to get document! You can find a great resource to helps students learn by clicking the picture below! The students love to practice these words because of the fun dinos! 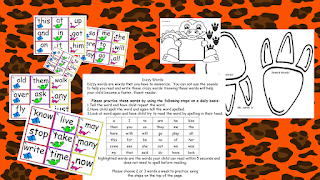 Practice sight words, fluency, and the ABC's! Used for writing, rhyming, and sight word work! Would you like these cool sheets? TeachMagically. Theme images by diane555. Powered by Blogger.